Today more than ever, in the face of a quickly changing healthcare environment, providing an exceptional patient experience is now becoming the standard of care. 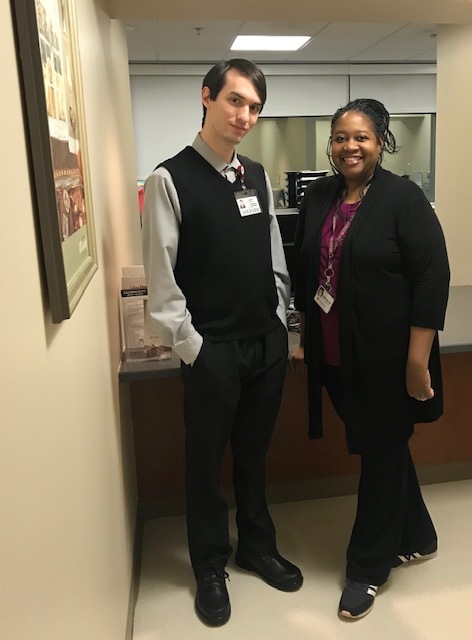 This week Parkwest Medical Center recognizes patient registration professionals for their contribution to the healthcare access continuum by celebrating Patient Access Week, April 15 – 19. The first interaction patients have with the hospital most often begins with the registration department. First impressions can set the tone for an individual’s entire hospital experience. We look for positive representatives with a friendly demeanor when hiring. The registration team has goals centered on courtesy, communication, efficient, and helpfulness. When our patients aren’t feeling well we need to be fast, accurate and, friendly. Our job is to ease their concerns in a caring and efficient manner. In an average day, the registration department handles a variety of requests from patients, visitors, physicians, nurses and other hospital staff. Registration staff register, schedule, and greet patients upon arrival. The registration department staff must also be familiar with the procedures of various insurance companies, responsible to provide financial counseling, and point of service cash collections. It’s a fast-paced job that requires a keen ability to multitask. In recognition of Patient Access Week we wanted to help you get to know some of our employees throughout the week. Registration team members Kyle & Ramona. How long have you worked at Parkwest Medical Center? I have worked at Parkwest since February 2017. I actually made my transition from the Staffing Solutions temp agency to Covenant Health on the day of the full solar eclipse we had a while back! That August, I think it was. Tell us a little about your job in the registration department. My work in ED registration can be a little chaotic. You never know when an ambulance will arrive, or a patient in critical condition will get rolled through the front door. I take a mobile workstation with me to the patient’s bedside to verify their records and obtain consent. Many appreciate that this lets us start on care before paperwork. Where are you from? I am from Pasadena, Maryland. What do you enjoy most about working in registration? There’s nothing quite like brightening the day for an Emergency Department patient, even if it’s just a little bit. Telling a quick joke or getting them a warm blanket can mean a world of difference for them and their experience. What do you enjoy doing during your free time? During my free time I read, play video games, and sometimes do a bit of writing if I am feeling creative. What is your favorite movie? 28 Days Later is my favorite film. What is your favorite type of food? My favorite type of food is Italian. How long have you worked at Parkwest? I’ve worked here for a year. Can you tell us a little bit about your job in registration? I schedule patients for outpatient procedures, process their packets for test day, and call patients to pre-register them for their test. Where are you from? I’ve from Michigan and I’ve lived in Knoxville for almost 5 years. What do you enjoy most about your job? I enjoy talking with the patients, and doing the best to make our patients trust our services. I also love my co-workers. What do you enjoy doing during your free time? In my free time, I love to go to the movie theatre, and out to eat. What is your favorite movie My favorite movie is Black Panther. What is your favorite type of food? Thin crust pizza.